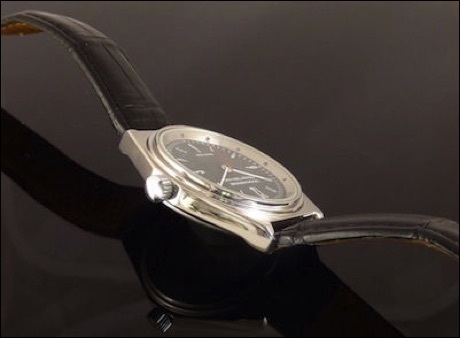 A prototype gents watch in a EN58J marine grade stainless steel and a mineral glass case back. Featuring a modified manually wound vintage Junghans 620.50 movement with a jewelled barrel arbour. 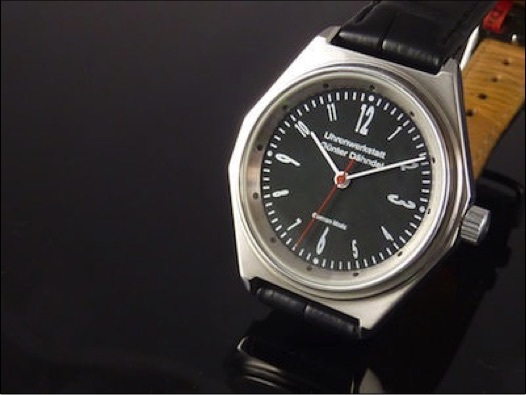 In my Workshop I also make quality watches and clocks. On the left and below are photographs showing a prototype gents watch which I have made to serve me as a study for one of my designs. 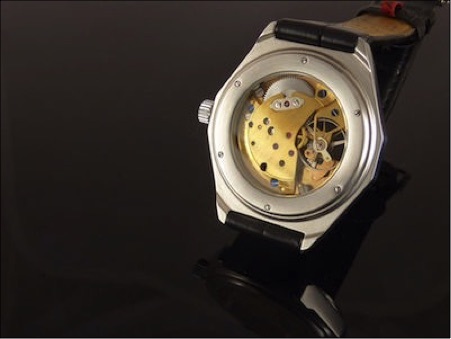 The aim is to design watches which have clear but stylish lines with a dial free from distractions. 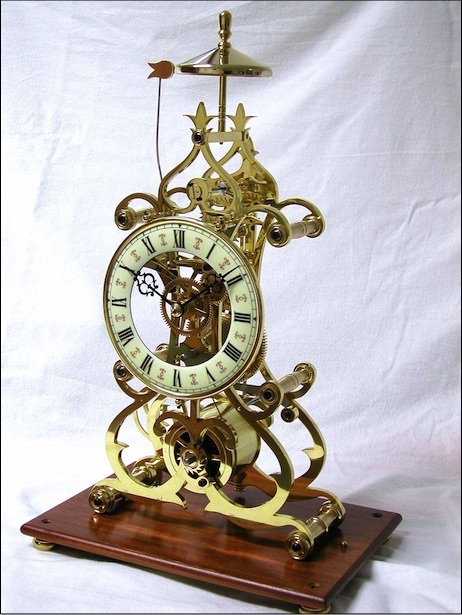 This scroll frame skeleton clock leans onto a classic design by the British clockmaker John Wilding. I couldn't resist making my own version of this clock. The frame is entirely hand cut and polished. The clock is fitted with an vintage regulator dial which has its Roman numerals displayed on a lovely antique-white enamelled background. It has a passing strike on a cast bell made by the Dutch bell maker Hodzelman. 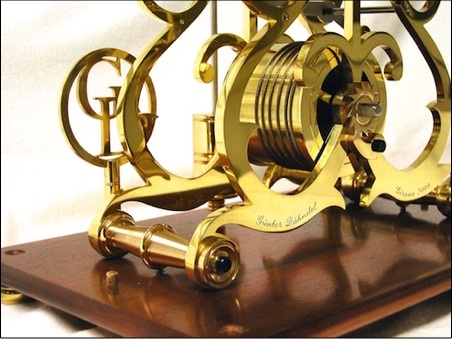 This clock is fitted with a recoil anchor escapement, although subsequent clocks will have a Graham dead beat escapement. Solid pinions have been used on all wheels. 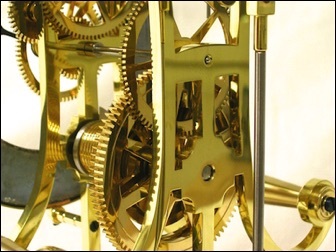 The 8 Day fusee movement is equipped with Harrison maintaining power to prevent the clock from stopping whilst being wound.